Regular dental cleanings and examinations along with good daily oral hygiene habits and daily brushing habits are your best defense against dental problems. Our dental hygienists are highly skilled technicians who are gentle, friendly, and very patient centered. They will work with you and assist you in your efforts to optimize your oral health. All of this is done in an individualized caring and non-judgmental manner. There are tremendous benefits to visiting the dental office on a regular schedule. During these appointments we will do a thorough dental cleaning; examine the teeth, gums, and oral soft tissues; screen for oral cancer; and take any necessary radiographs. The dental hygienist will review preventive measures to help you in your oral hygiene efforts. These appointments also provide an opportunity to speak with the dentist or hygienist about any questions or concerns you may have about your oral health. Fluoride is a naturally occurring mineral that protects the enamel of teeth. Fluoride works to strengthen tooth enamel in order to help defend against the daily exposure to detrimental conditions. We provide fluoride varnish applications when appropriate. We also have prescription fluoride toothpaste that may be recommended for individuals who have high susceptibility to decay and/or tooth sensitivity. Dental sealants are an additional preventive measure which when applied can significantly reduce the opportunity for the decay process to begin in the grooves of the teeth on the biting surfaces of molars. Gum disease is a progressive condition that can lead to more serious disease. Periodontitis is a serious form of gum disease which, if not treated, will often result in loss of teeth. Because gum disease is a condition of chronic inflammation and infection, it can have adverse effects that go beyond the mouth. It is important to aggressively treat gum disease, which can help you retain your natural teeth and improve your oral and overall health. Early intervention is key. 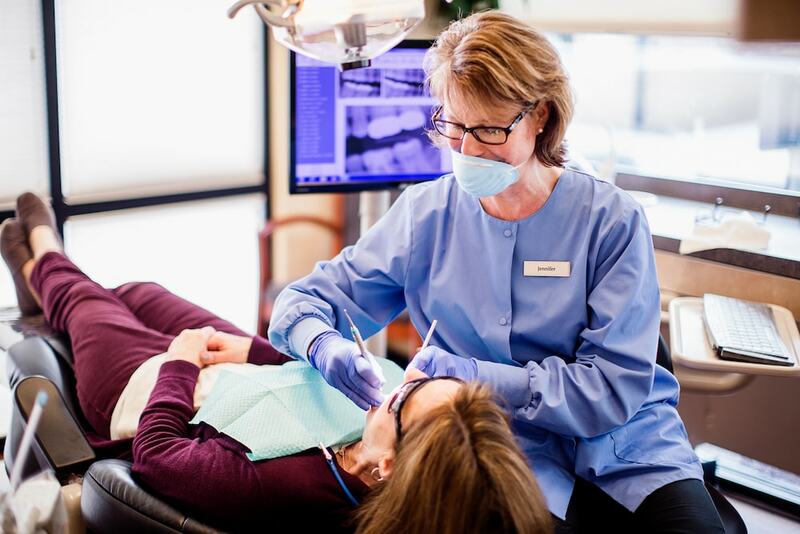 Our Vancouver dental office is a state-of-the-art facility with a highly personal touch so you feel welcomed and comfort as soon as you step through our doors. To schedule a dental cleaning appointment or to have any dental questions answered, contact our office today. When are Porcelain Veneers Recommended?